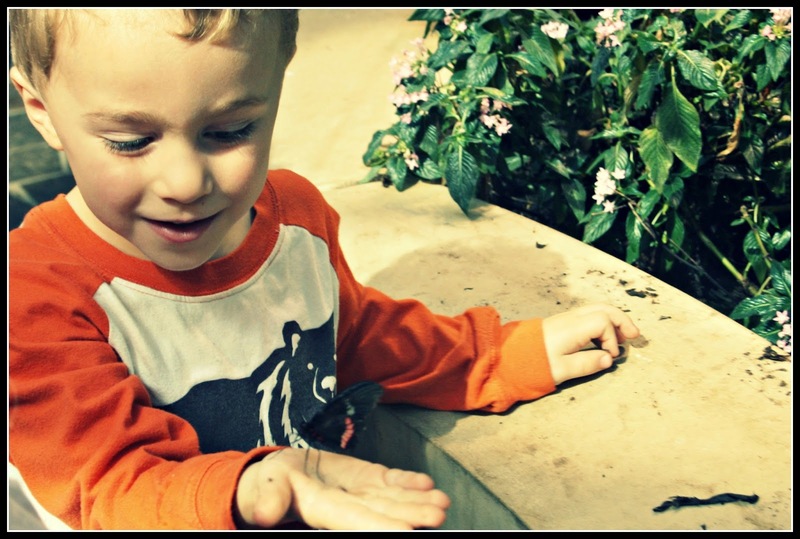 So nice to see the happiness in his face looking at the butterfly in his hand! It takes a good mom to make days like that! Happiness is gathering with our family! ach laten we eerlijk zijn iedere leeftijd heeft toch zijn bekoring. Happy Happy Happy!!! I love this! That sounds like a pretty amazing day! Awwww...so cute. Four is such a fun age!! What a beautiful picture, full of wonder!!! Glad you're back, I checked every day! Even better to be four, with a wonderful, engaged Mom! The look of joyful wonder on his face is priceless. Sounds like a perfect day and how awesome to have a butterfly land on your hand! Priceless photo. Priceless moments. Priceless mamma. I went to a butterfly farm a few years ago and I must admit I was thrilled when a butterfly deigned to land on my hand. I love this post! That picture is so precious! With a day like that, it's pretty good being an older person also! kids keep us young! oh what a fun day, and having a butterfly land in your hand- how cool is that! Gorgeous picture and the look on his face is priceless...pure happiness! Aww ~ happiness is all that ! I am smiling always at the loveliness of your life with your boys . I'd count that as good at my age as well. You have some great family times there Lisa. That sounds like a wonderful lunch! That's so cute. That is happiness!